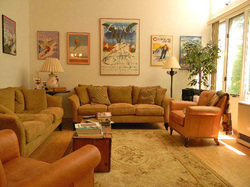 Furnished 2BR, 1BA condo available for winter ski season rental in the Bridges community. Rental available last week in December. Flat screen TV with cable and internet included. On the shuttle route. Please note that this condo is also for sale and that pets and smoking are not allowed. Utilities are Not included. Lovely renovated chalet. 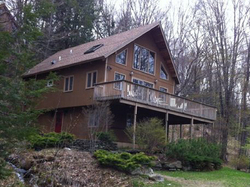 Conveniently located on Millbrook road, minutes to town and ski areas. Bright and sunny 2 bedrooms, 2 1/2 baths and den w/ futon. Relax in the light filled living room with the added warmth from the woodburning fireplace, this convenient townhouse style condo is located off the corner of Route 100 at the bottom of the Sugarbush Access Rd. A very short drive to the slopes, stores and local restaraunts. It has two bedrooms, two baths, full size washer and dryer, a mudroom, and fully equipped kitchen. Available for the 2018/2019 ski season. Convenient yet private two-bedroom and three-bathroom condominium in the coveted Club Sugarbush community. The owners recently painted the interior, installed new hardware and fixtures, and updated the bathrooms with subway tile. Enjoy the open floor plan, spacious porch, fully equipped kitchen, comfortable and tasteful furnishings, gas fireplace, washer/dryer, covered private parking, abundant storage space, and even a hiking and snowshoe trail. Lincoln Peak and Mount Ellen are only minutes away, and if you don’t want to drive you can ride the shuttle from the complex. 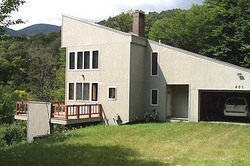 This is a November 1, 2018 – April 30, 2019 rental, but the owners would consider accommodating those who may want to have even more fun in the Mad River Valley and arrive in October or stay through May. No smoking or pets please. A Bridge level condominium is so very convenient at the Bridges Resort. Two bedroom two bath furnished condominium with bunk beds, queen and a pullout in the living room. Ski shuttle outside your door that runs all day long. Cable and internet included in the rental. Other utilities will be the responsibility of the tenant. Recreation Center privileges allows you to take classes, use the fitness room and indoor pool as well as the outdoor hot tub. Seasonal One bedroom at the Bridges Resort. 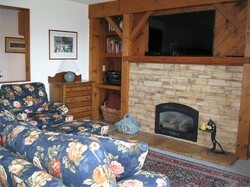 Pet friendly and on the shuttle route to Sugarbush Resort Lincoln Peak and Mt Ellen. Close to MRG too. Fully furnished and ready to go for the winter season. 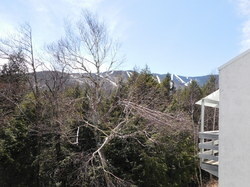 Top of the world views from this spectacular site located across the valley from Sugarbush Resort. High quality finishes adorn this five bedroom, five bath home. Ash and Absolute Black Granite floors anchor an open living floorplan with Master suite w/ King & Jacuzzi on main floor and a second floor den that provides a birds eye views of the valley and beyond. Custom cabinetry and woodwork combine to create this luxurious mountain retreat. Open kitchen , living /dining room, wood burning fireplace. 4 bedrooms on second floor )33 furnished w/queen beds. Other room one can bring air mattress/futons. Spectacular Views!! Rate is $20,000/ 5 months includes electric, heat & plowing. Firewood & trash removal. 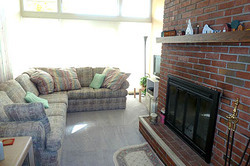 This two bedroom/two bath Snowside condo located below the base of Mt. Ellen includes a warm and welcoming gas fireplace, fully stocked kitchen, tasteful furnishings and large windows providing gorgeous views of the huge sledding meadow below. Walk up to the GMX chair and ski home with natural snow. Book now for our 2018/2019 Season!​ Also available May through Sept 2018 (call for price). The quintessential ski house! Located next to the mountain w/ski trail access. 4 bedrooms, 3 baths 3 floors of living space wood stove, den and garage. Stunning ski trail views ! Beautiful Three Bedroom, Two Bath home in Moretown. This property is a great location! It is super close to I89 to make your winter getaway a shorter drive from Boston or New York, and only 9 miles to Waitsfield. Take your pick for skiing and outdoor recreation at Sugarbush, Sugarbush North, or Mad River Glen. For those looking for outdoor adventures away from the ski hill, this property sits on a beautiful 80 acres which includes trails for showshoeing and exploring right behind the house! The interior of this well planned house has a large heated mudroom for all of your winter wear, a totally supplied kitchen, washer/dryer on the first floor with extra shower for overflow guests, beautiful stone fireplace and wood stove in the study for added warmth. The outdoor hot tub is available for use/or not (your choice). A true winter getaway location! Rare rental opportunity in exquisitely appointed luxury condominium; 5 bedroom ,4.5 bath townhouses with 2 fireplaces, family room. Located on the golf course. Available 3 month minimum lease. Call for rate and availability Rented June 1st- October 1st. New Post and Beam. 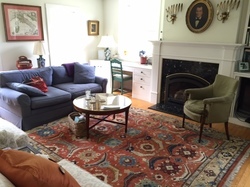 Open floor plan,2 bedrooms w/ and baths plus loft, custom kitchen, gas fireplace/stove. Attached garage. Utilities not included. 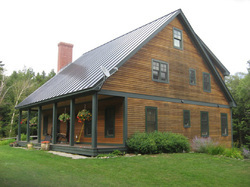 Enjoy expansive views of Sugarbush and surrounding Green Mountains from this artisan-crafted post and beam home on 15+ private acres. Exceptional panorama enhanced by extensive porches, perennial gardens & stone walkways. Exposed woodwork throughout the home; great room with cathedral ceiling and balcony with rustic stick/log railings, 4-stall barn with attached paddocks, tack room and hayloft. Ski on and off from ultra convenient townhouses located next to the out to lunch trial. 4 bedrooms 3 baths, 2 fireplaces, garage. Available after Jan 3rd. 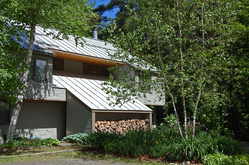 LocationType 136 Middle Earth Dr.
Quality post & beam on a premium, 22.5 acre site on Roxbury Mountain Rd, the shortcut cherished by our travelers from Boston and beyond. Staggering views of ski areas & the Valley from every vantage point. The expansive dining and living areas take maximum advantage of the views and are ideal for entertaining along with a chef's kitchen with Thermadore and Sub Zero appliances, and a large hot tub on the deck. Upscale features include radiant heat on all 3 floors, full generator, red birch flooring, heat & security system, field stone fireplace, spacious master suite with fireplace, tiled bath & deck, paneled home office, bonus room. 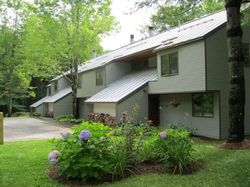 Just 2 miles to East Warren Grocery, 7 to Sugarbush skiing & amenities. Enjoy all the Mad River Valley has to offer and then come home to some of the best views you'll find anywhere! Winter Seasonal Rental. 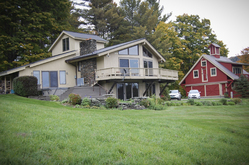 This 5-bedroom ski house is located off of German Flats Road in Fayston Vermont, practically around the corner from Sugarbush's Mount Ellen. Loaded with the usual amenities, enough room to sleep 10 and the all-important washer/dryer, it's a great place to make your home base for the winter season. For further details, please call 802-583-2100, email us at sremtn@sugarbushre.com or click on the red Inquiry button below. Give us a call and reserve your spot in the beautiful Green Mountain state for the upcoming winter season. 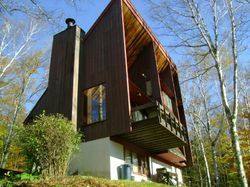 Located close to Sugarbush Resort and Mad River Glen Ski Area, this contemporary home features 4 generous bedrooms that will sleep 9. 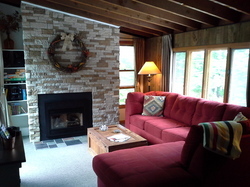 The living room has a vaulted ceiling, fireplace, comfy furnishings & lots of ambiance. On a more practical note, there's a washer/dryer right in the unit. Utilities are Not included. Sorry. No Smoking. No Pets. The stated price is the monthly rate.